Do you fancy being the DJ for the night? Perhaps you just want to play a few cd’s or that favourite playlist and enjoy the party yourself? 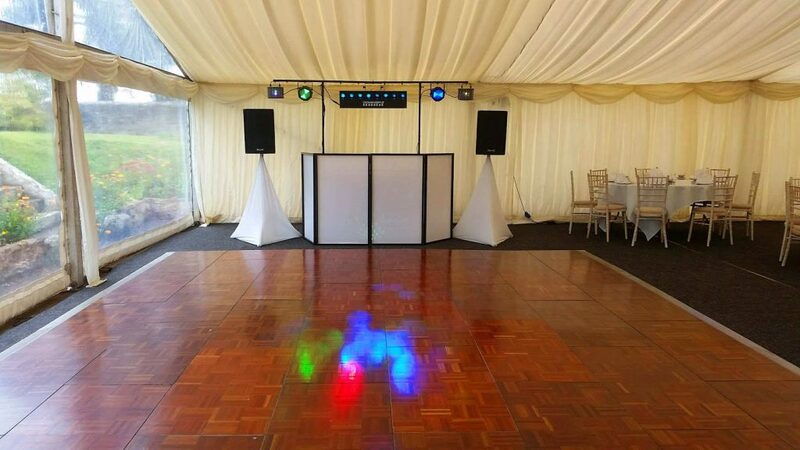 Our DJ-less equipment hire service is just for you! 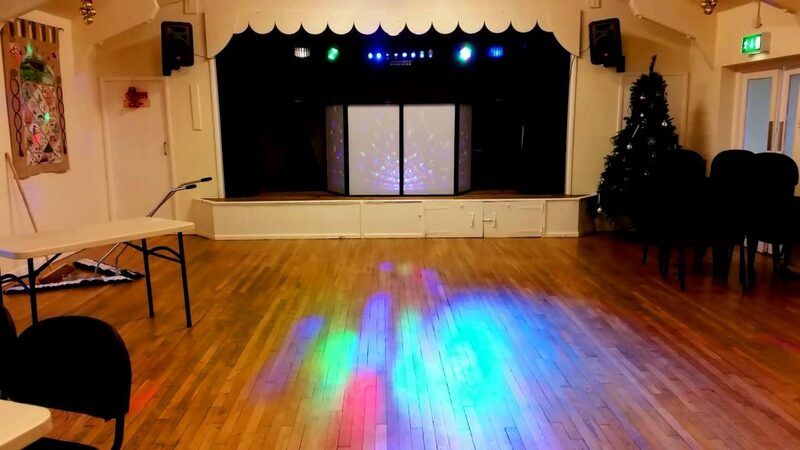 We will set up everything, Give you a demonstration on how to use the equipment and at the end of the night/following morning, We’ll collect the equipment. Speakers (Typically on stands) Suitable for the room/venue size. CD Player with an SD card slot and USB port. Allowing CD and MP3 CD playback. Also SD cards and Memory sticks containing MP3 files can be played. 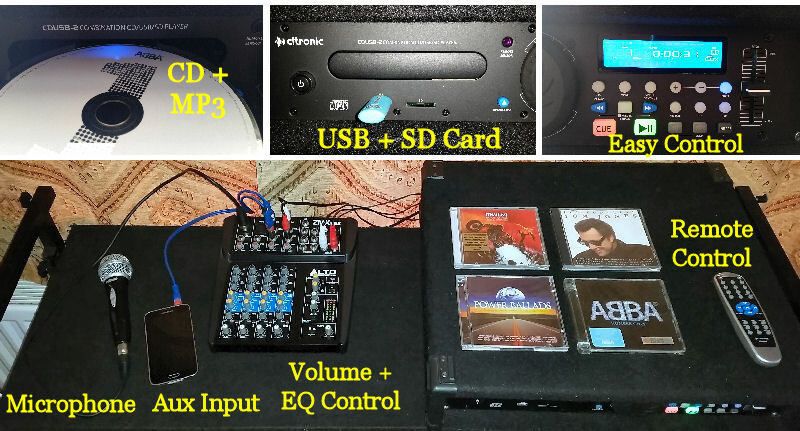 Sound Mixer – Allowing the input of the CD/USB MP3 Player, Microphone, Aux Cable for music playback from mobile devices such as -i-pods, tablets and laptops. 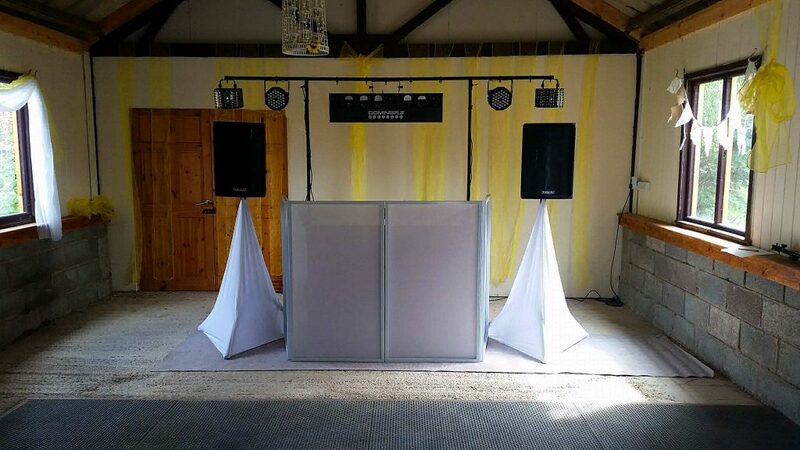 Can be positioned to allow access behind (As a DJ would) or sited tight against a wall with front access. USB Memory Sticks (Up to 320gb) MP3 playback, Folders compatible. USB Hard Drives (Up to 500gb – self powered) MP3 Playback, Folders compatible. Aux Cable uses 3.5mm Stereo Jack. We can supply an Apple Lightening adaptor to connect i-phones. Where available and appropriate, we will also supply a Black framed white lycra screen. This can depend on availability and equipment positioning/access. 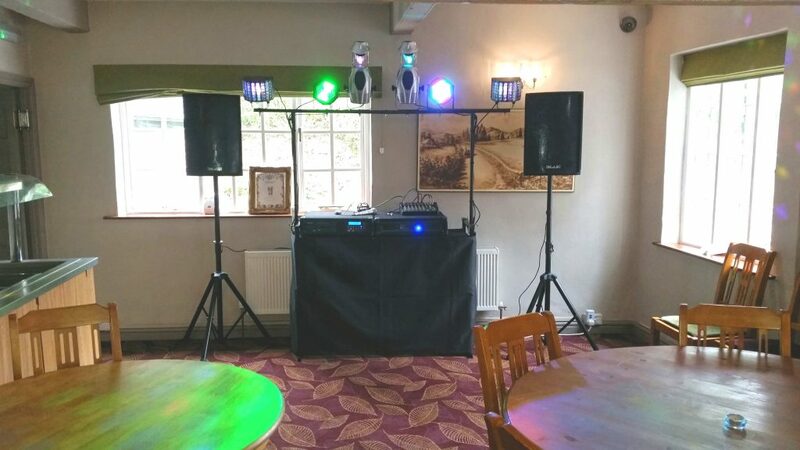 Music Equipment Hire (DJ-less Equipment Hire) without a decorative lycra screen or speaker stand covers to illustrate the equipment setup. Can it be dressed in white? Yes! 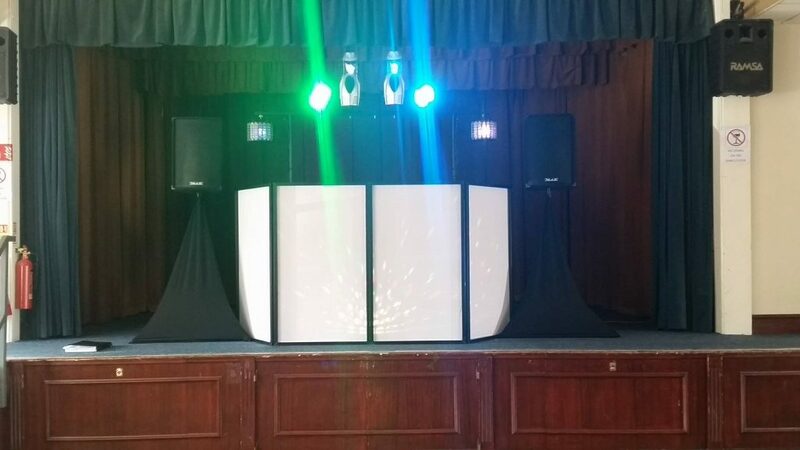 For an additional charge we can dress the equipment with white speaker stand covers and a WHITE metal framed lycra screen. Equipment dressed in white. Hired for a relaxed wedding celebration. The groom played his own music. 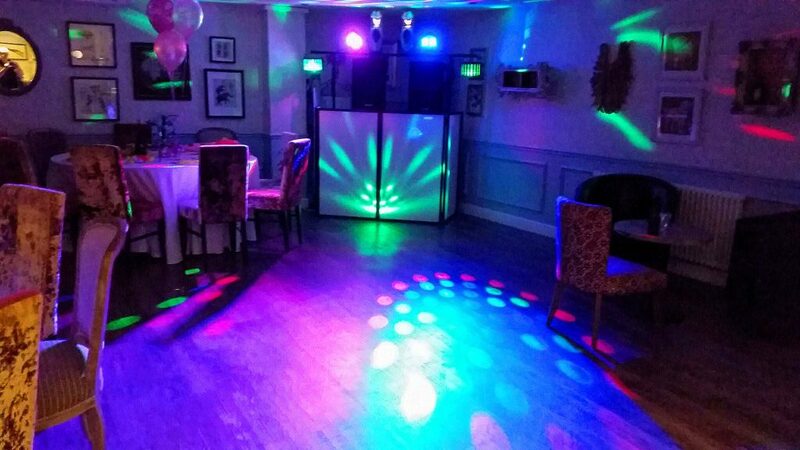 Ask for a Quote or Book our Equipment Hire today!